ARP stands for Aluminium Roofline Products. We are a UK based manufacturer of architectural and roofline products, based in Leicestershire, and have over 50 employees, we have been trading for 30 years. We manufacture a range of aluminium roofline and rainwater products as well as supply cast iron rainwater products too. Why choose a metal rainwater system? Both our Aluminium and Cast Iron rainwater systems are built to last, made from high-grade aluminium and cast iron, these products should stand the test of time and last for a minimum of 30 years up to 100 years. Not only that, once they have reached the end of their useful life, they can both be fully recycled. I don’t know what I need? Firstly start by reading our Getting Started section, but if you are still not sure, then you can contact us, using the form below or call our technical help line on 0116 289 4400, who will be happy to guide you. How do I place an order with ARP? Simply give us a call on 0116 289 4400, send us an email to sales@arp-ltd.com and we will be happy to take your order. We accept payment by credit card and bank transfers, so you won’t need to open an account. How do I fit the products? We provide detailed fitting instructions with your order, but if you still have queries, please contact us and we will be happy to help. We can turn around most orders in 5-7 days from the date of order. If your order is more complex and you need to use our in-house CAD/CAM services, these lead times relate to the moment you approve your drawings. What services do you hold in-house? As a manufacturer, we can make and coat your order in-house, with our punching, pressing and folding machines. 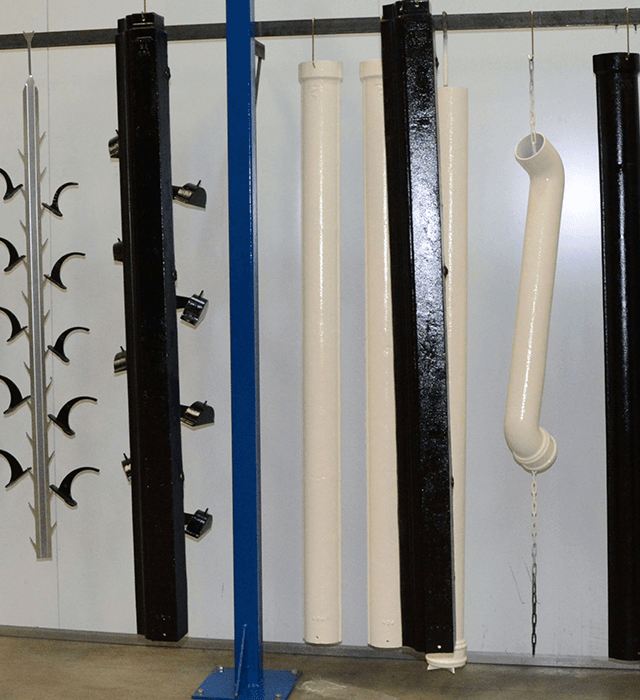 We have an in-house Polyester Powder Coating facility for aluminium products and a factory applied wet paint line for cast iron. This means that we are in control of your order at all times, enabling us to quote you delivery times and stick to them. How do you despatch the products? We use two methods of delivery; we have our own dedicated delivery vans and external carriers. This means that we can be flexible to your special delivery instructions or where access to site is challenging. Whichever method is used we keep you informed of your expected delivery throughout. All products are individually wrapped in polyethene and packaged to keep them from damage during the delivery process. We only process the data we need to fulfil your requirements, we do not keep your data for longer than is deemed necessary, do not sell your data to any third parties and take all precautions in protecting your personal data, see our Privacy Notice for more details. I have a problem with my order what should I do? If you encounter an issue with your order, please contact us immediately, so we can rectify it for you.